Porcelain fused to metal crowns remain one of dentistry’s primary restorations of choice because, when properly constructed and seated, they are strong, reliable and esthetic. The porcelains used at our lab incorporate optical properties that parallel natural tooth structure resulting in superior aesthetics. Porcelain fused to metal is still the standard that everything else is measured by. 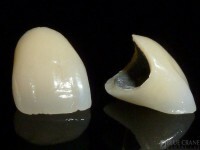 It remains a part of everyday work in the Laboratory, from single units to full mouth Implant restorations. The high cost of Gold has everyone looking for alternatives. 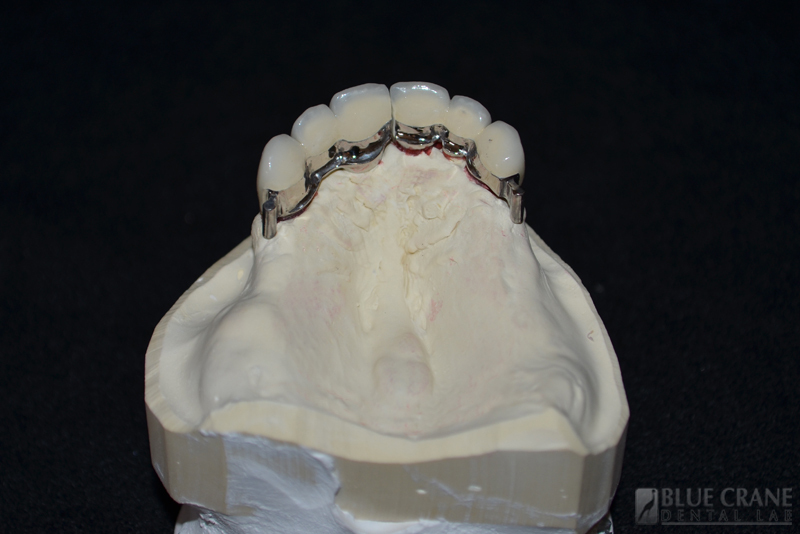 Zirconium has become the number one alternative. For some prep designs (bevel margin) a cast coping is the better choice for a good fit of the restoration. We use Noble and High Noble alloys for our PFM’s. All the finishing is done under a microscope and the frames are fitted to a tissue model. Whether you’d like to hire us for or simply gather more information on the procedure listed above, please don’t hesitate to contact us.